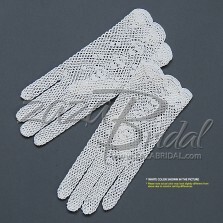 Delicate Long Stretch Filet Crochet Gloves with Faux-Pearl Decorate One size fits most, Very stretchy, Very Comfortable and Lightweight. There is a small decorate Faux-Pearl accent on the back of the hand. Approximately 12.5" in length from the tip of the middle finger to the end of the glove. (When laying flat) LENGTH, TIGHT or LOOSE depends on your arm circumference. ..
Delicate Long Stretch Filet Crochet Gloves with Small Dot Decorate - Victo​rian+Regen​cy Fish Net Gloves One size fits most, Very stretchy, Very Comfortable and LightWeight. There is a small decorate dot pattern on the back of the hand. Only White Color Available. Approximately 12.5" in length from the tip of the middle finger to the end of the glove. (When laying flat) LENGTH, TIGHT or LOOSE depends on your arm circumference. ..
Delicate Long Stretch Nylon Filet Crochet Gloves with Sequins and Beads - Victo​rian+Regen​cy Fish Net Gloves One size fits most, Very stretchy and Light Weight. Perfect for your special day. Approximately 14" in length from the tip of the middle finger to the end of the glove. (When laying flat) LENGTH, TIGHT or LOOSE depends on your arm circumference. 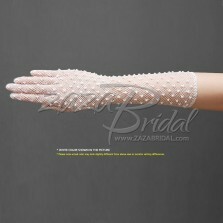 ..
Delicate Stretch Filet Crochet Gloves with Dot decorate. One size fits most, Very stretchy, Very Comfortable. Only Black Color Available. There is a decorate dot pattern on the back of the hand. LENGTH, TIGHT or LOOSE depends on your arm circumference. 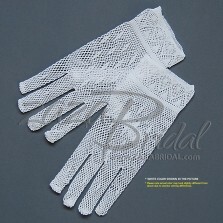 ..
Delicate Stretch Nylon Filet Crochet Gloves with Sequins and Beads One size fits most, Very stretchy. Perfect for your special day. LENGTH, TIGHT or LOOSE depends on your arm circumference. .. This Fancy Nylon Crochet gloves give a nice stretch, however, it bounces right back. One size fits most, Very stretchy. LENGTH, TIGHT or LOOSE depends on your arm circumference. 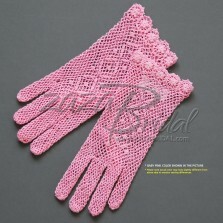 ..
Lovely ladies crochet gloves with a delicated floral detail. One size fits most, Very stretchy. Approximately 8" in length from the tip of the middle finger to the end of the glove. (When laying flat) LENGTH, TIGHT or LOOSE depends on your arm circumference. .. 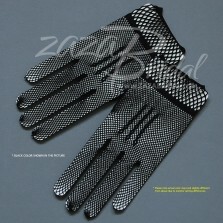 This Stylish Nylon Crochet gloves give a nice stretch, however, it bounces right back. One size fits most, Very stretchy. Comfortable and stylish. There is a decorate pattern on the back of the hand. LENGTH, TIGHT or LOOSE depends on your arm circumference. ..